D’Eramo can be romantic...She can be brutal. She can be sardonic, but she can also be self-adoring ... [D’Eramo's] thinking is incoherent. Her story-telling is muddled. Her prose is uneven. For all that, Deviation has a fierce compelling idiosyncrasy to it. D’Eramo’s account of the camps is full of surprising nuances ... [D’Eramo's] account, solipsistic as it is, provides glimpses into their secretive and desperate world. D’Eramo’s stand-in narrator evocatively describes the abject sights and smells of her experiences in a factory, and later in the Dachau concentration camp ... Perhaps most like D. M. Thomas’ controversial The White Hotel (1981), or the unflinchingly brutal realism of Pier Pasolini’s Salò, D’Eramo’s tale is built from disparate memories as they returned to her later in life, and she consciously tries to avoid giving shape or structure to this fictionalization of her experiences. The result is a difficult, disturbing, and yet brilliantly ambiguous exploration of humanity’s darkest time. D’Eramo’s account... [is] full of grim detail and personalities, recorded with an unblinking gaze. 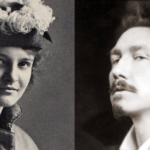 The author’s intellectual curiosity is inexhaustible, her self-scrutiny relentless ... The structure of the work – which was written over some decades – is dislocated, partly to reflect the piecemeal nature of D’Eramo’s understanding. Thus its chronology can seem confusing, but the author’s unquenchable spirit burns bright throughout, self-analyzing, offering support to others, always working to comprehend ... D’Eramo died in 2001 but her voice survives, blazingly, in this impressive, bonkers book which tells a startling story of life and commitment, taken to the extreme. Readers see Lucia calming terminal patients, staring down a police dog, shedding identities like snake skins, all while formerly repressed memories of the war keep bubbling up in her narration. D’Eramo vividly conveys the cruelty and wretchedness of war. An excellent translator’s note from Appel clarifies the sometimes confusing chronology of events and the mix of memoir and fiction in this audacious novel. 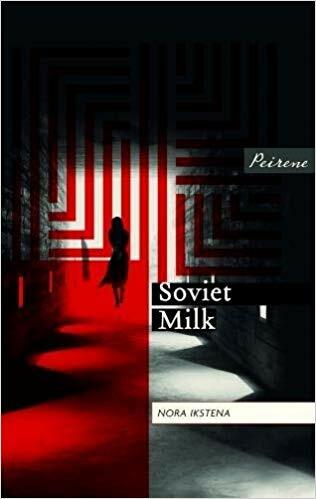 Told sometimes in the first and sometimes in the third person, D’Eramo’s account addresses not just wartime experiences, but also her subsequent life in a wheelchair, paralyzed by the accident and dependent on drugs; some of the episodes she recounts are as hellish as anything she experienced in the labor camps ... The book resembles Malaparte’s in some of its hallucinatory aspects, but it also recalls work as various as Iris Origo’s War in Val D’Orcia and Louis-Ferdinand Céline’s Castle to Castle. Though a minor contribution to the larger literature of World War II, a strange, heartfelt account of someone who served a role few would confess to.